All of ICAO’s initiatives in the field of aviation security rely, both globally and regionally, on cooperation amongst States and all other stakeholders. The overarching goal is to enhance global security by implementing uniform security measures around the world, a goal that cannot be achieved without unwavering commitment by all concerned. We will be live-streaming ICAO’s Global Aviation Security Symposium here, as it is taking place at ICAO Headquarters from 26 to 28 November 2018. Though we will be broadcasting all of the presentations on YouTube Live, you can follow the broadcasts on this page by scrolling below to the event playlists. After the broadcasts, the videos will be made available for on-demand viewing right here. ICAO is convening the Second Global Aviation Security Symposium (AVSEC2018) at ICAO Headquarters in Montréal, Canada, from 27 to 28 November 2018, but as a precursor to AVSEC2018, there will be a series of pre-Symposium events on Monday, 26 November 2018, comprised of workshops, presentations and table-top exercises that will stimulate AVSEC2018 plenary discussions. As part of the pre-Symposium activities, and in an effort to address existing and future challenges relating to aviation security technology and innovation, this Industry Day event will bring together a select group of key policy and decision makers from States, stakeholders and industry partner to participate in roundtable discussions and interactive dialogues. Under each of the links below we have indicated who is speaking in that session…make sure to catch all of the presentations! If you haven’t already – make sure to download the ICAO event app where you will have access to immediate updates on ICAO’s Fourteenth TRIP Symposium and Exhibition. Here you will find schedules, announcements, sponsor and exhibitor information and locations and other helpful information! You can also access the event details through the web app here. Session 1 – The Present: Key challenges for States and Industry stakeholders in developing, adapting or deploying effective and efficient screening technologies that can combat evolving security threats to aviation. Many States do not have the opportunity to implement or test the latest screening technologies; they are often ill-equipped or too understaffed to manage the administrative and financial burdens to meet the demands of testing methodologies and schedules, performance standard definitions, and qualification criteria. The resulting delays in evaluating and approving new and adapted technology impact the global aviation security community’s ability to address emerging threats, and also impede commercial opportunities and inhibit entrepreneurial initiatives. Without access to the latest technologies with the lowest false-positive rates, airports and airlines must extend already stretched lifecycles of currently deployed screening equipment that may be less likely to detect emerging threats. How can we expedite acceptance, installation, operational use, and recertification of enhanced security equipment? How can ICAO and its Member States partner with testing laboratories to expedite this process? Session 2 – The Future: A need for ICAO, States, and Industry to respond more effectively to aviation threats through the use of emerging technology and processes How can ICAO facilitate the delivery of emerging screening technology to the global aviation market? Global aviation interests remain an enduring and evolving high-priority target for terrorists. 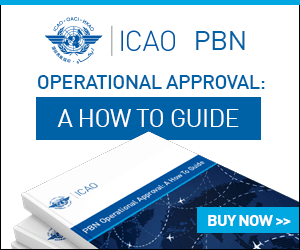 As adversaries continue to employ novel means to target civil aviation, operators are required to continually consider changes and enhancements to their security postures. Adversaries will continue to explore and employ clever concealment scenarios for explosives, chemical substances, dangerous goods, customs controlled items, and even basic simple sharp objects. National laboratories, start-up companies, and the greater Research and Development community are working hard to help address aviation threats. Likewise, greater pressure is being placed on regulators and manufacturers to quickly develop and employ mitigating solutions. This session will look at innovative approaches to leverage robust and agile screening solutions that could address current and future aviation threats, with the assistance of ICAO. Session 3 – Reimagining security screening to relieve the pressure at the checkpoint The landscape continues to change with threats emerging putting additional pressures on screeners and manufacturers to keep up. These include new concealment methods for explosives, chemical substances, dangerous goods, customs controlled items, but also simple sharp items. 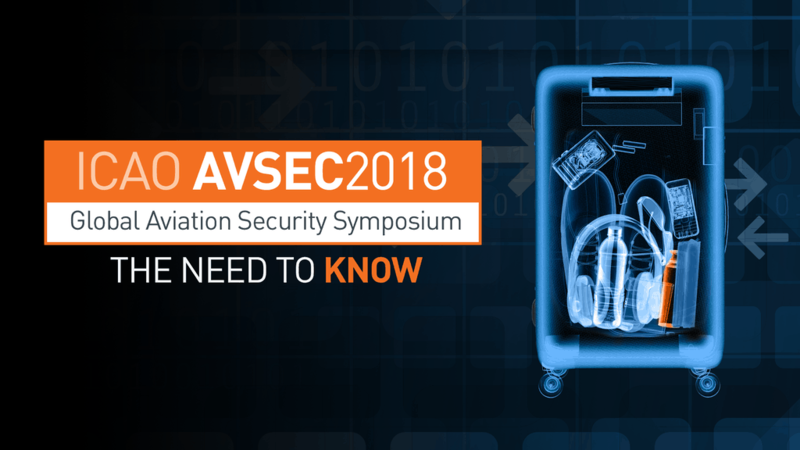 This session will look at how innovative ways of using and sharing x-ray images can not only relieve the pressure on today’s security screeners, but also provide the opportunity to improve security effectiveness while saving costs. Participants will benefit from new concepts and future innovations that will begin to lay the foundation for tomorrow’s security checkpoint. Mr. Panagiotis Kambouroglou, Founder and Managing Partner, Aero Iasion Development Ltd. Session 4 – Digital Leadership Plenary: Technology Innovations in Transportation In this digital leadership plenary, panellists will explore how technology innovations have been integrated into service delivery across the various modes within the transportation sector leading to increased operational efficiencies, cost effectiveness and impact while enhancing consumer experiences. With technology innovations come the need for enhanced digital protection; these panellists will share best practices to ensure intermodal collaboration across this sector. Leaders’ Plenary – This session provides an opportunity for senior leaders in the Aviation Security Community to discuss their perspective on current challenges and opportunities in countering threats to civil aviation. Emphasis will be placed on collaborating to achieve the Global Aviation Security Plan (GASeP) targets and implement United Nations Security Council Resolution 2309 (2016). Session 1 – Risk Awareness An effective risk assessment requires understanding of threats, impacts, and existing mitigations. This, in turn, involves inputs from a range of sources across Governments and industry. During these discussions, participants will explore the range of sources that are most useful in these risk assessments, what can be done to ensure that these are used as fully as possibly, and, if there are barriers to the most effective exchange of information, how these can best be overcome. Session 2 – Security Culture Robust application of enhanced security measures depends on engagement of the front line employees. Concerns about the ‘insider threat’ highlight the potentially negative implications of providing detailed information to an employee who has been corrupted. Participants will discuss the positive and negative consequences of disseminating threat information to all employees involved in aviation. Session 3 – Technology and Innovation The aviation security regime is highly reliant on technology solutions to ensure accurate, expedient threat detection, but specific data are often highly classified. This impedes the ability of manufacturers to ensure new technology provides the necessary detection capabilities. During the dialogue, experts will discuss current constraints affecting rapid development and possible solutions. Session 4 – Quality Control and Oversight Because of the interconnected nature of commercial aviation, security shortfalls in one airport could be exploited by a terrorist to conduct an attack on another State. Panellists will debate the establishment of a stronger aviation security oversight regime focused on comprehensive countermeasures that protect each State’s citizens. Session 5 – Capacity Building The Global Aviation Security Plan (GASeP) implementation targets reflect increasingly more robust levels of security over the next 12 years. These goals can only be realized through partnerships between contributing and recipient Member States. During these discussions participants will explore how such arrangements can be brokered while ensuring the necessary exchange of information. Session 6 – Implementing the GASeP Following an accelerated development and review process, the Global Aviation Security Plan (GASeP) provides foundations for a global aviation security framework. ICAO Regional Offices held aviation security conferences and tailored Roadmaps were developed to guide achievement of GASeP’s aims and objectives. During this session, Member State and Industry representatives will discuss observations and experiences during their implementation activities.